Grandma introduces herself to grandson's new girlfriend, immediately starts sharing medical advice. Introducing your new significant other to your family can be quite the nerve-wracking experience, but luckily for this new couple, it turned out into a hilarious Facebook conversation for the entire internet to enjoy. 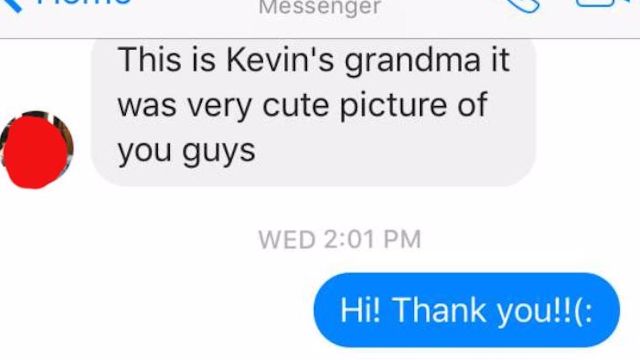 A man by the name of Kevin recently posted a screenshot in the r/OldPeopleFacebook subreddit of a Facebook messenger conversation between his grandma and his new girlfriend. 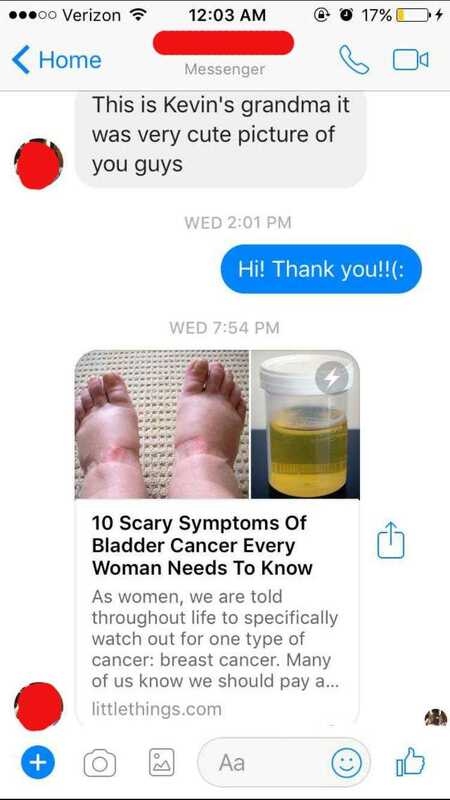 Yes, roughly 5 hours and 53 minutes after Kevin's new girlfriend responded, his grandmother sent her a link to an article titled "10 Scary Symptoms Of Bladder Cancer Every Woman Needs To Know" from a website called littlethings.com. Truly amazing. You've gotta love grandparents using Facebook. At least we know Kevin's grandma has his girlfriend's best interest at heart.